So, if people didn’t settle down to take up farming, why then did they embark on this entirely new way of living? We have no idea – or actually, we have lots of ideas, but we don’t know if any of them are right. 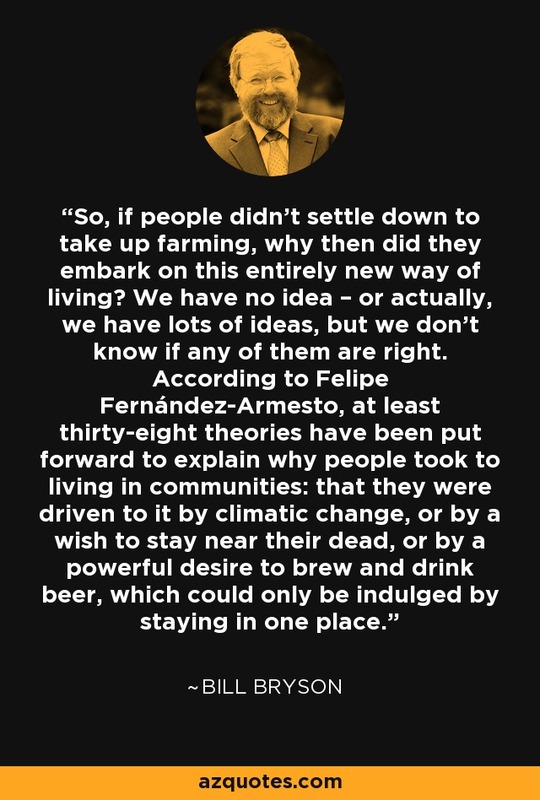 According to Felipe Fernández-Armesto, at least thirty-eight theories have been put forward to explain why people took to living in communities: that they were driven to it by climatic change, or by a wish to stay near their dead, or by a powerful desire to brew and drink beer, which could only be indulged by staying in one place.